WHAT IS SURFACE GRINDING MACHINE ? Surface grinder machine is latest, modern and ideal example of finishing the articles or job for different industrial sectors. 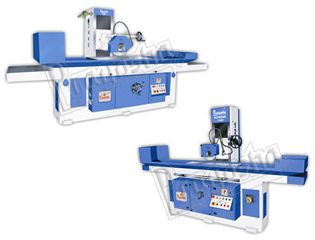 In surface grinder machine article can be ground with different types of grinding modes. To get perfect geometrical shapes with precise measurements, these machines provide an ideal and unmatched option. With surface grinder machines any kinds of shape, either says custom shapes can be generate with highly punctual manner with perfect and accurate end product.